Lincoln Moving & Storage announced this week that it has joined as a partner of “Move For Hunger,” a not-for-profit organization that collects unwanted, non-perishable food items from the homes of people who are moving and delivers them to local food banks. 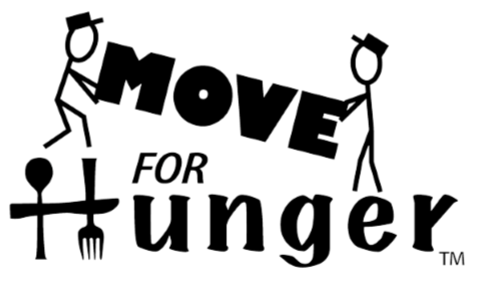 Move For Hunger, a 501(c)3 based in New Jersey, has collaborated with moving companies, real estate professionals and relocation companies since 2009 to encourage people to donate, rather than discard, unopened, shelf-stable food items that they’d prefer not to move. Collected items are delivered at no cost to local food banks. Annually, Move For Hunger delivers the equivalent of more than 4.1 million meals to food banks across the U.S. and Canada. According to Move For Hunger’s web site (www.moveforhunger.org), nearly 50 million Americans, including 1 in 5 children, face food insecurity. Based in Buffalo, NY, Lincoln Moving & Storage provides full-service moving and storage for professional and residential moves, operating in the Buffalo, Syracuse and Tampa markets. Back in 1914, John Palisano started Lincoln Moving & Storage with his six sons. From one horse and wagon, Lincoln Moving has expanded over its century in business serving New York and Florida residents to become an Atlas Van Lines agent capable of worldwide moves.